The Manhattan at Times Square is a favorite Midtown budget hotel. We offer comfortable deluxe rooms with amenities at excellent prices. Our central location guarantees that you’ll be within walking distance of New York’s main attractions. By booking your room through our website, you can choose the Free Grab 'n Go package from our special offers. This means that a complimentary continental breakfast - the most important meal of the day - will be included with your stay! Try diners around Midtown or prix-fixe menus. OpenTable is an excellent website to compare prices, distance from the hotel and reviews. At the time of booking your room with us, you’ll have a choice of three rewards - including a $5 Starbucks credit, discounts on restaurants or credit at a sports lounge. Choose the museums you want to visit before you go. Consider purchasing passes - New York CityPASS, The New York Pass and New York City Explorer Pass are good options. This allows you to visit top attractions at a discount price. Our suggestion is to pick the pass that includes the most attractions that don’t offer suggested admissions or free admission days (read below). Know which museums have free admission. Some are always free, others are free only on certain days - visit their website to find out. Many museums along the Museum Mile offer this deal. “Suggested admission” means that you can pay as little as $1 dollar to enter a museum. Brooklyn Bridge and the Statue of Liberty are iconic New York sights that you can enjoy for free. 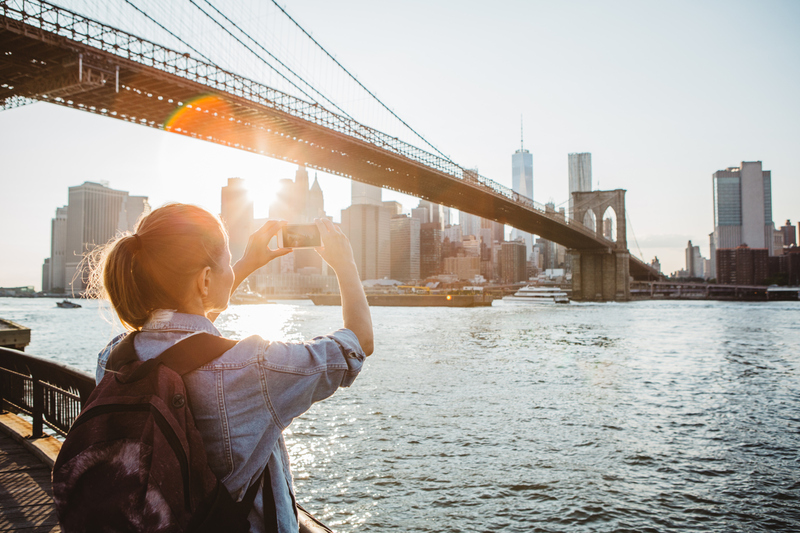 Take the Staten Island Ferry or walk across Brooklyn Bridge without spending a penny. Central Park and the High Line are a breather from the concrete jungle and visiting them is absolutely free. Our guests love Broadway shows and we’ve prepared a guide on how to purchase discount Broadway tickets. Walk as much as you can, but bring the most comfortable shoes you own. You’ll see more of the city and you might even discover an unknown spot off the beaten path. Consider acquiring an unlimited subway pass called MetroCard. Each subway ride is $2.75, but for a 7-day Unlimited MetroCard that includes local buses (not express), you’ll pay only $32. If you want a pass that also includes express buses, you can get the 7-Day Express Bus Plus MetroCard for $59.50. That’s it! Follow these five tips and plan carefully - your bank account will thank you. Remember, the first step is to book your stay at the Manhattan at Times Square!